Phase Change Converters have over 10 years experience in developing and applying rotary converters throughout Australia and in many other parts of the world. We are well established and know what to look for when applying converters to REAL WORLD situation and applications. 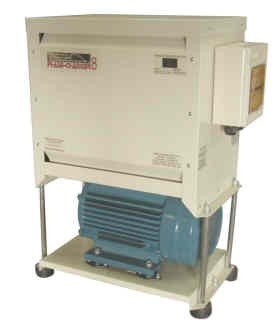 Phase Change Converters have unquestionably helped many many more small businesses get 3 phase than ANY other company operating in Australia. All products and designed and made here in Australia, so backup, product support and quality is assured. While the Phase Change Converter product has progressed the rotary power converter concept to new levels, the rest of the world has not. To buy a converter from anywhere else would mean that you would miss out on our patented multi-level tracking and rapid voltage stabilisation. This is essential for a clean, stable output that will work under a wide range of variable loads. This and several other unique features, combined with our long warranty period makes the Phase Change product range the most advanced in the world. There are other power converters out there, but when you look at them closely you find old technology in a new box. Read the fine print and see the difference in what is really being offered by the competition. If you are still not sure, call our office and ask the hard questions to the team who are leaders in their field. Pay attention to the technology they are really offering - how are capacitors switched? how many levels of output voltage control exist? do they have hard start and boost? do they have integrated contactors and overloads and correctly sized circuit breakers? Can remote start be easily integrated? How efficient are they? Are the pilot motors oversized (typical of contactor switched capacitors models?). How will they start on marginal single phase supplies? What is the idle current? Can the controller be repaired or serviced locally?